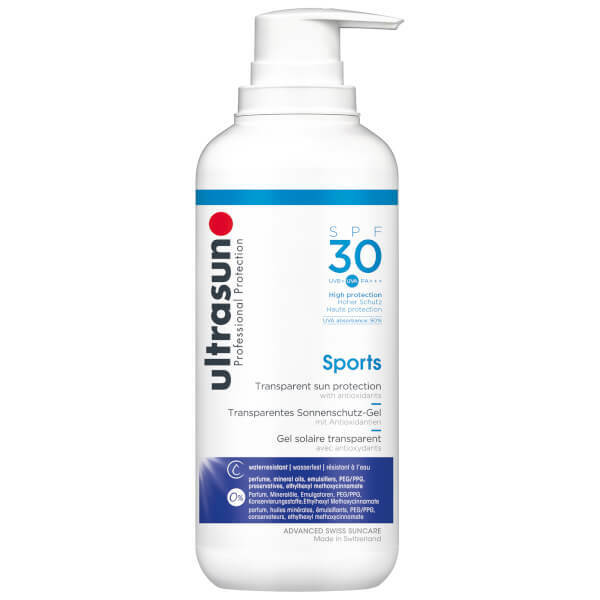 Protect skin during exercise with the Ultrasun Transparent Sun Protection Sports Gel SPF30; a water-resistant sun cream specially developed for people with active lifestyles. The antioxidant-rich formula quickly glides onto the body, absorbing quickly and invisibly without leaving behind an unwanted, greasy or sticky residue. Developed with broad spectrum SPF30, the effective sun protection gel shields skin from UVA and UVB damage during sports. Enjoy the outdoors without the worry.